Law and Order: Cartel or Constitution? Given that war has broken out in the fight for our marijuana freedoms as we face a multi-state threat from the so-called ‘recreational marijuana’ and their neo-conservative corporate consortium partners, we have decided to introduce a new series called ‘Law and Order’ where we openly contend that the Drug War itself is unconstitutional. We will present to you cases from the past few decades that slowly but surely eroded the rights and freedoms that We The People of America have guaranteed in our Bill of Rights and Constitution of the United States, in the name of an unholy cause called the War on Drugs. The War on Drugs is an institution that was designed for one purpose: profit. To profit off of wars both legal and illegal, the jailing of citizens, the seizure of property, the suffering of the people, the destruction of families, the oppression of neighborhoods and the expansion of empire. No other institution has so effectively concentrated wealth at the top in the history of man, than the Leviathan that has emerged comprising of Cartels, Corporations and Government. The Consortium formed by John Foster Dulles and Allen Dulles after World War 2 had been brought back into power post-JFK. The same group had attempted to drive the Cuban Missile Crisis years before and had employed CIA operation J/M-Wave to assassinate President Kennedy. CIA shipments of heroin during the Vietnam War by former members of Operation Jedburgh to the United States, proved profitable in funding unauthorized wars in Cambodia and Laos that Nixon could not obtain through a Democratic Congress. The United States after 1969 began to lose its financial capacity to maintain the war in Vietnam. 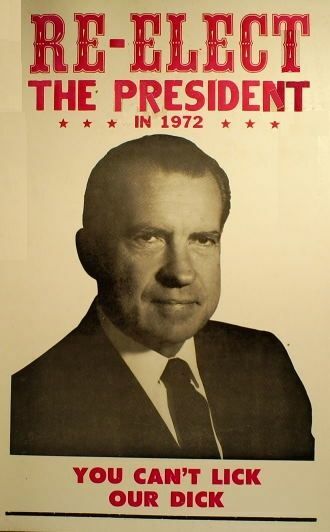 Nixon, in order to drive up the price of marijuana and heroin to increase war profits instigated Operation Intercept. The heroin epidemic started in Hells Kitchen raised enough money off the books to continue the war well into 1972. Heroin sales were compounded by Nixon taking the dollar off the gold standard in 1971 allowing the drug money to be laundered into the economy. Nixon would later convince China to agree to the outsourcing of American jobs in return for cheaper goods undermining American labor to allow for a retaking of the US economy by the Consortium. Nixon, the CIA and DEA utilized the same drugs for weapons tactics to reassert US hegemony in South America, overthrowing socialist governments and replacing them with narco-dictatorships backed by the military. This effectively established the modern cocaine trade through empowering Cartel families in Mexico, Panama, Peru and Colombia. Originally the most powerful operator was the Guadalajara Cartel, managed by the CIA, Rafael Quintero and Miguel Angel Felix Gallardo. The cocaine trade rapidly expanded into the 1980’s with civil wars in Central America being funded by a drugs-for-arms scheme that cemented the relationship between the US government, the cartels and American corporations. Cocaine shipments would leave Colombia through Panama, be facilitated by Contras through Central America, to Mexico and be flown by plane into private military airports guaranteed by then Governor Bill Clinton in Arkansas. The large glut of cocaine, encouraged the creation of the Crack Cocaine epidemic which started in 1984 and was fueled in large part by the trafficking of cocaine by Nicaraguan Contras and Manuel Noriega with the support of the CIA and DEA. 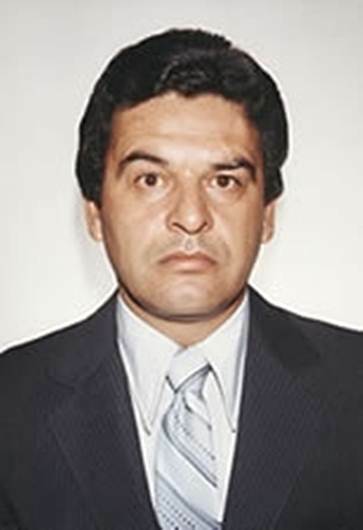 DEA agent Enrique Camarena would be murdered by the Guadalajara Cartel, Mexican Police and several DEA and CIA agents for disrupting drug flows, setting off an investigation that would eventually lead to the Iran-Contra Affair and the exposure of the international narcotics system. 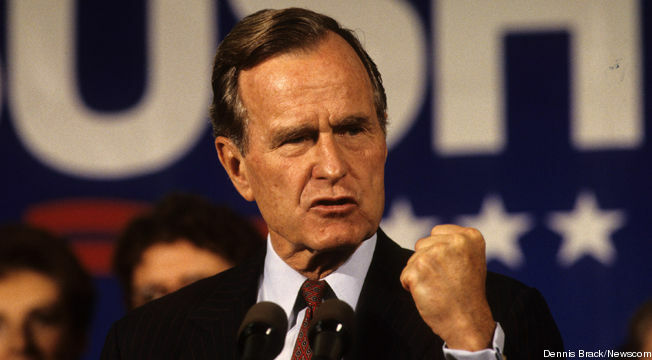 The epidemic continued until George HW Bush invaded Panama in 1989 to shut down Noriega’s operation which had been supported by the US since the 1970’s. The fall of Noriega followed suit with the takedown of Pablo Escobar who had become the richest man in the world at the time through cocaine sales ($66 billion in 1991). The fall of Pablo was effectively the end of the Colombian reign as power would shift to Mexican Cartels with DEA support. 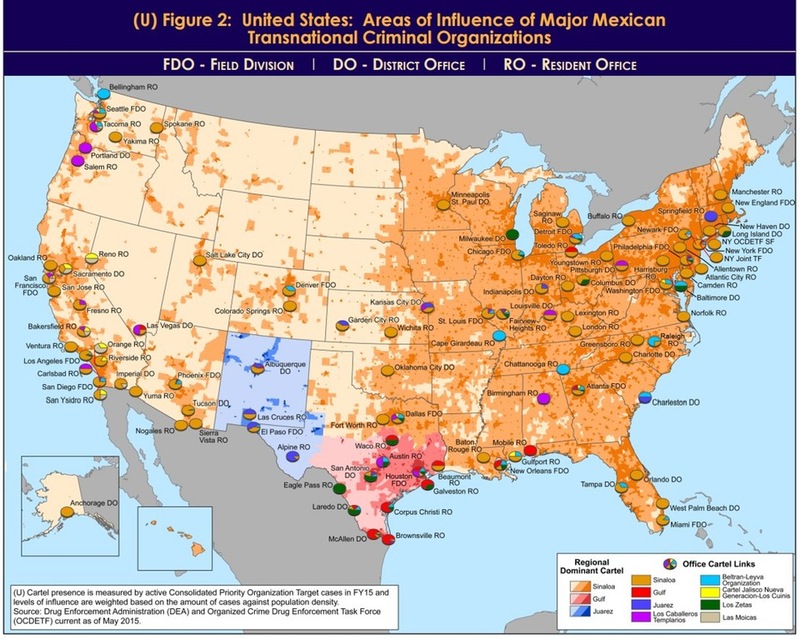 The fall of the Arellano-Felix cartel, the successor to the Guadalajara Cartel, in the late 90s and early 2000’s, created a fractured power vacuum in Mexico that was heavily manipulated by Consortium and federal agency interests that has led to Mexico and Canada being the drug trafficking gatekeepers to the US that we have today. The power vacuum has since been filled by El Chapo and the Sinaloa Cartel, Los Zetas, the Gulf Cartel and several other small organizations. This first article talks about the significance of a court case related to the death of DEA agent Enrique Camarena-Salazar in 1984. Camarena had been responsible for the destruction of a 2,500 acre marijuana farm, with a production value of $8 billion. 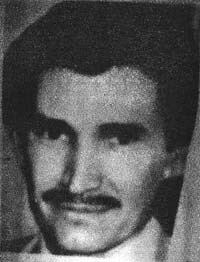 The marijuana farm was controlled by the CIA backed Guadalajara Cartel and its overlord Miguel Angel Felix Gallardo. Camarena was tortured at Gallardo’s ranch by Dr. Humberto Alvarez Machain, CIA Agent Rafael Caro Quintero, and two crooked DEA agents who had dimed out Camarena for the bust. Quintero was the co-founder of the Guadalajara Cartel with Gallardo and been an integral part in providing funding from drug sales to the Nicaraguan Contras for Col. Oliver North and the CIA. “The Guadalajara Cartel prospered largely because it enjoyed the protection of the intelligence agency then known as Dirección Federal de Seguridad (DFS-Federal Security Directorate) under its chief Miguel Nassar Haro, a Central Intelligence Agency (CIA) agent. His cartel was also benefited by the CIA for having connections with the Honduran drug lord Juan Matta-Ballesteros, who, according to a 1983 U.S. Customs Investigative Report, was the head of the SETCO airline, a corporation that was used for smuggling narcotics into the United States. According to the Kerry Committee report, the SETCO airline was “the principal company used by the Contras in Honduras to transport supplies and personnel for the [FDN (one of the earliest Contra groups)], carrying at least a million rounds of ammunition, food, uniforms, and other military supplies [for the Contras] . . . from 1983 through 1985.”For its services SETCO received funds from the accounts established by Oliver North. His partner and cartel co-founder, Miguel Ángel Félix Gallardo, provided a significant amount of funding, weapons, and other aid to the Contras in Nicaragua. Gallardo’s pilot, Werner Lotz stated that Gallardo once had him deliver $150,000 in cash to a Contra group, and Gallardo often boasted about smuggling arms to them. 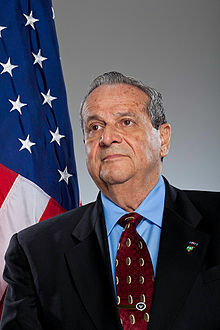 His activities were known to several U.S. federal agencies, including the CIA and DEA, but he was granted immunity due to his “charitable contributions to the Contras. Caro Quintero has also been accused of involvement in the murder of US Drug Enforcement Administration agent Enrique Camarena Salazar. In November 1984, the Mexican authorities raided a 220-acre ranch known as El Búfalo in the state of Chihuahua, owned by Caro Quintero. 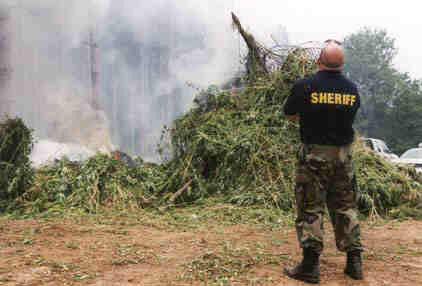 The authorities reportedly burned more than 10,000 tons of marijuana – totaling a loss of around $160 million. Camarena had been brutally interrogated and tortured, kept alive during the torture by Dr. Humberto Alvarez Machain’s application of methamphetamine and other drugs to maintain Camarena’s consciousness. His body was found in Michoacan and triggered the largest DEA homicide investigation in US history, known as Operation Leyenda. 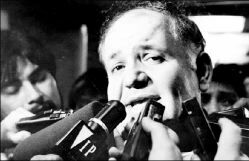 Rafael Quintero and his partner, Ernesto Carrillo were arrested for the murder with great controversy, with Felix Gallardo being protected from prosecution by the Mexican President Miguel de la Madrid. The DEA, in vengeance, hired bounty hunters to abduct Dr. Humberto Machain and four other defendants to bring to trial in the early 1990’s despite vigorous protests of the Mexican government in regards to violation of the Extradition Treaty in 1978. The case became significant when Dr. Machain sued the US government for abducting a Mexican citizen in good standing in violation of the extradition treaty. In a high controversial 5-4 decision, the Republican Supreme Court ruled that Alvarez was NOT entitled to relief and that the President ultimately had the right to violate congressional treaties in the interest of national security. The other four abductee’s were convicted as well, many of them had ties to the current and former Mexican Presidents and had been implicated in using Mexican police to help cover up the murder and destroy evidence. In October 2013, two former federal agents and an ex-CIA agent admitted that the CIA had been directly involved in Camarena’s murder because the Guadalajara Cartel’s marijuana and cocaine operations were integral to funding the overthrow of government’s in Central America. “New revelations suggest that Caro Quintero may have not been the only one responsible for the gruesome murder. Another figure has surfaced in the case, Félix Ismael “El Gato” Rodríguez, a Cuban exile who participated in the disastrous Bay of Pigs invasion in 1961. El Gato has also been linked to the 1967 ambush of Ernesto “Che” Guevara in Bolivia. These CIA-connection claims are now being brought to light by Phil Jordan, the former director of DEA’s powerful El Paso Intelligence Center in Texas; former DEA agent Héctor Berrellez; and Tosh Plumlee, who maintained he was hired to fly covert missions on behalf of US intelligence. The three men spoke to Fox News in exclusive interviews broadcast last Thursday. They claimed that Mexican police and agents working for the CIA participated in Camarena’s torture and murder. “I know and from what I have been told by a former head of the Mexican federal police, Comandante [Guillermo Gónzales] Calderoni, the CIA was involved in the movement of drugs from South America to Mexico and to the US,” said Jordan, according to a transcript of the broadcast. “In [Camarena’s] interrogation room, I was told by Mexican authorities, that CIA operatives were in there – actually conducting the interrogation; actually taping Kiki,” Jordan claims. Berrellez explained that Camarena was kidnapped and murdered “because he came up with the idea that we needed to chase the money not the drugs. We were seizing a huge amount of drugs. However, we were not really disrupting the cartels. So he came up with the idea that we should set up a task force and target their monies,” said the former DEA agent. Plumlee added that the CIA was also involved in helping run weapons and drugs from Caro Quintero’s ranch to Central America at the time that the Reagan administration was helping to arm the Contra rebels in Nicaragua. “…I have traveled to Brazil to share my thoughts about the role of the judiciary in narcotics trafficking cases. It is a very complex and sometimes dangerous area for public officials. Sometimes I give too much background on narcotics trafficking and I apologize in advance; but as we discuss the role of judges, it will be needed for you to understand our success, but more importantly – our failures. I believe you will be wiser than we were, and hopefully, avoid some of our glaring mistakes. The issues our judges face today in the arena of international narcotics trafficking may be your issues of the future. 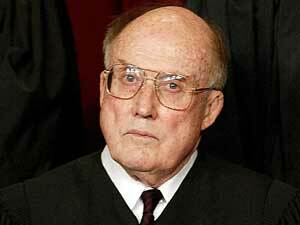 I believe judges wield tremendous personal and political power. We may be powerful but those strengths can be turned against us. Drug Enforcement Agency agent, Enrique Camarena, was forcibly abducted across the street from the United States Consulate in Guadalajara, Mexico on February 7, 1985. The United States and Colombia had entered into an agreement to extradite cartel members to the United States for trial and incarceration for conspiracy to transport narcotics into the United States. This was an attempt to incarcerate cartel members outside their area of influence and curtail international narcotics trafficking. Whether it was America, Mexico, Panama, Venezuela, Peru, Colombia etc. The western hemisphere governments and the worldwide community of nations recognized the destabilizing effect of the cartel. When the initial 165 Colombian cartel members were to be extradited, the Cartel announced to the Colombian News agencies that for every cartel member extradited there would be seven Colombian judges or public officials killed. This transcript that I will read portions of IS the transcript of the tape that was played to then Vice President Bush and the National Security Council of the Torture, Interrogation, and Murder of Enrique Camarena and a Mexican pilot working with Camarena, Alfredo Zavala-Avelar at a cartel location in Guadalajara, Mexico. You will hear Enrique Camarena, the agent, who is being tortured. The interrogation was taped to send a message to the United States and the Colombian and Mexican governments to cease the indictment and extradition of cartel members. Electric cattle prods were used and he was beaten to unconsciousness, revived and beaten again. The tape was turned off during the torture and turned back on for the interrogation. Camarena will be heard complaining about these injuries. Only a few minutes will be read today if time allows. This case will set the tone for many of my remarks about the complex world of international narcotics trafficking and the application of international laws, treaties and government policies that attempt to control this global threat. Most nations of the world view narcotic trafficking as a threat to their sovereignty. I am not here to restate the evils of narcotics, but I do share these common concerns of the world community. An organized and powerful narcotics cartel necessities their own military which they must maintain to stop rival drug cartels from stealing their markets and their narcotics. But this same force can be turned on legitimate democratic governments, destabilize large governments and overthrow small governments. A powerful narcotics cartel allows criminals to subvert the democratic process by giving them a larger influence in government through their use of either force or monies. A powerful narcotics cartel displaces economies and legitimate industries and businesses. Illegal monies obtained from narcotics and funneled into industry and business allow them to operate at lower profit margins or at a loss. This forces legitimate businesses and industries into bankruptcy and out of business. Narcotics tempts law-abiding and moral citizens to enter the world of narcotics trafficking for profit. This easy money is most tempting to the young people of our countries who dream of wealth. Our nation has experienced this process. Our poor have become the true victims because much needed monies for food, clothing and shelter have been spent instead of narcotics – usually to the detriment of their families, including young children. Our government has then had to increase our welfare services to provide homes for the homeless and to prevent starvation and this had resulted in an increased tax burden on the middle classes…. I will only define and deal with core drug trafficking organizations. By definition: Core drug trafficking organizations dominate multiple phases of drug trafficking from production to distribution. They operate internationally and frequently direct subordinate organizations. The United States FBI, DEA, and CIA recognize twelve Colombian, one Peruvian, one Ecuadorian, and one Venezuelan core organization. My overview will cover of these fifteen core drug trafficking organizations. 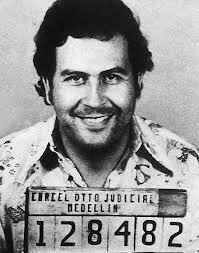 Despite the situation described above, the Medellin Cartel is far from defunct. Drug trafficking to the United States continues and the drug cartels are expanding their markets in Europe. Europe provides an opportunity for a larger profit margin with the average price per kilo of cocaine going for two to three times the price in the United States. The Cartel frequently transports cocaine destined for the US through Mexico and Guatemala. Aircraft often stop in Colombia, Panama, El Salvador and/or Nicaragua for refueling. Cocaine is stored in Guatemala and Mexico to be transported into the United States, most often through Texas, Southern California and Southern Florida. Los Angeles and Miami are used as collection and storage locations for further distribution. Demonstrated violence is needed to produce fear and curtail governments and private citizens from aggressively enforcing the law against narcotics trafficking. The Urdinola Grajales Organization is a core organization located in the Northern Valle de Cauca. The organization is led by brothers Ivan and Julio Fabio Urdinola Grajales. The Urdinola Brothers head the Northern Valley Cartel…utilizing legitimate business interests in the areas of fruits, flowers, horticulture and numerous farms to facilitate the production and in-country transportation of cocaine and heroin. The Urdinolas also utilized numerous legitimate export and shipping connections that facilitate the transportation of the drugs to the US and Europe. Some cartels now specialize in transporting [cocaine]. Their profits are either a portion of the narcotics that they receive for their services for resale or agreed upon monies when the load has been sold. The North Coast Cartel consists of numerous independent drug trafficking organizations, the majority based in the cities of Barranquila, Cartagena, Riohacha, Santa Marta, and the Guijara Peninsula, along the north coast of Colombia. Smuggling has long been a part of the North Coast culture, beginning with emeralds and eventually marijuana & cocaine when it became more profitable. These organizations now specialize in transporting cocaine for the two larger cartels located in Cali and Medellin. As the market for cocaine in Europe has grown, the ability of North Coast traffickers to shift cocaine shipments from the United States to that expanding market has grown proportionally. North Coast traffickers have established ties to the Sicilian Mafia and are now shipping cocaine to Italy. The cocaine is shipped from Colombia, through the Strait of Gibraltar and finally to Sicily. I mentioned that trafficking organizations and drug cartels must have an organized and well-armed military to stop rivals from taking their narcotics. This small army is often used to hold ground areas and nowhere is this more important than in coca growing areas. This armed force is also needed to guard the raw material through the narcotics network to the distributor. Growers must grow and harvest coca and that requires dominance over the growing areas…. The primary importer to Brazil is the Jairo Echeverria Organization which is a core transportation and distribution organization based in Caracas, Venezuela. This organization is responsible for transporting and distributing cocaine for the Cali Cartel between Venezuela, the US, Europe and Brazil. The organization uses cargo containers, couriers, private aircraft and commercial aircraft, shipments range between 50 and 500kg. Several associates of the Jairo Echeverria were arrested by Italian law enforcement for delivering cocaine to the Sicilian Mafia, This organization utilizes numerous banks in the Hialeah-Miami area to facilitate their money laundering. Narcotics trafficking cases are much more complex. Our judges and juries must listen to and understand the complex facts involved in money laundering. Offshore bank accounts may be in the name of non-existent corporations or actual corporations. Banking ledgers may be needed from numbered and confidential accounts to show both deposits and withdrawals. These transactions involve [trillions] of dollars and may be moved on a daily basis from one bank to another. This requires the cooperation of both the United States and the country where suspected illegal drug monies are deposited. Indictments are obtained in Florida on a cartel member who is arrested in the United States or in a country that allows extradition through treaties. The prosecution then must obtain the evidence necessary to convict that cartel member. The charges may be conspiracy to launder illegal narcotics monies through either real or fictitious businesses. This requires the courts to obtain the funds, or at least the banking records of the businesses through the subpoena process, and that is solely dependent upon the cooperation of the other country where the funds are located. The banking industry worldwide promises confidentiality to its customers. Whether these banks are in the Cayman Islands, Panama, Switzerland, Venezuela, or the United States, the universal problem is obtaining these banking records. If the bank is an American bank within the United States, then usually it is quite easy for our courts to get compliance with our orders for banking records. When the bank is outside our territorial boundaries, then we are totally dependent on cooperation between the two countries. An example is Panama, under President Noriega it was virtually impossible to obtain banking records, but since his seizure the country under new leadership is more willing to exchange information…. Domestically, “RICO Laws’ were passed to stop the laundering of money through domestic American businesses. Narcotics traffickers pass narcotics monies through businesses and utilize these case flows as business profits. The narcotics traffickers even pay taxes on these monies disguised as business profits. The trafficker is then free to spend money openly in our society. Often suspicions on the part of law enforcement and the IRS are aroused with purchases of luxery items such as boats, planes, cars and other items with no identifiable source of income. The IRS has prosecuted narcotics traffickers for non-declaration of income…and for tax evasion. The most controversial issue often involves how a nation obtains international drug traffickers to stand trial. A person may be shipping massive amounts of cocaine into Brazil and your government may decide to prosecute. Although the person is not within your territorial jurisdiction, this Cartel trafficker may be causing many criminal acts ranging from murder, attempted bribery of officials, and the importation of massive amounts of cocaine. The first is that the foreign Cartel dealer visits your country and is seized…. The second is when a criminal proceeding begins in Brazil and names the foreign Cartel agent as a co-conspirator…allowing for extradition. The third way the person is obtained is by conflict between nations that give rise to the use of military force. 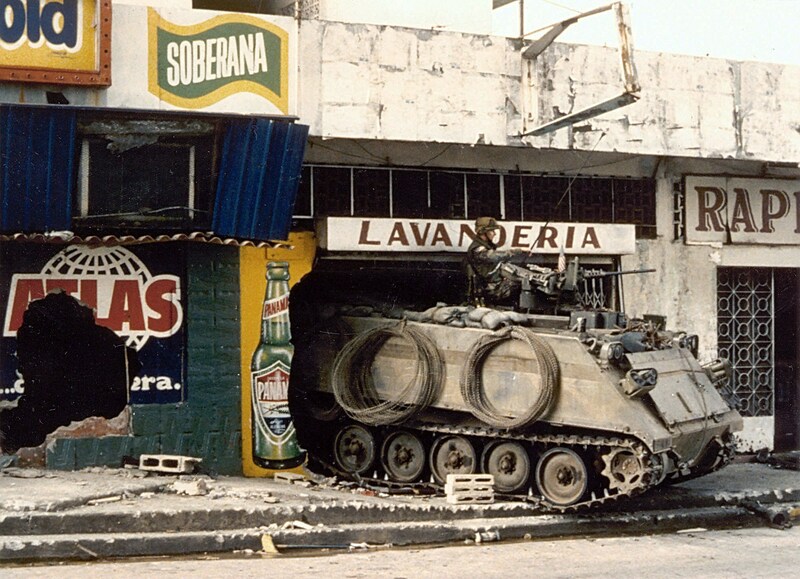 The conflict in Panama involved US military forces and President Noriega was seized. In Grenada, where US citizens were threatened, the US military occupied Grenada and was also able to shut off some the narcotic trafficking routes and airfields…. The fourth method is abduction. The case of United States vs. Humberto Alvarez-Machain raised problems for our judiciary and world governments. 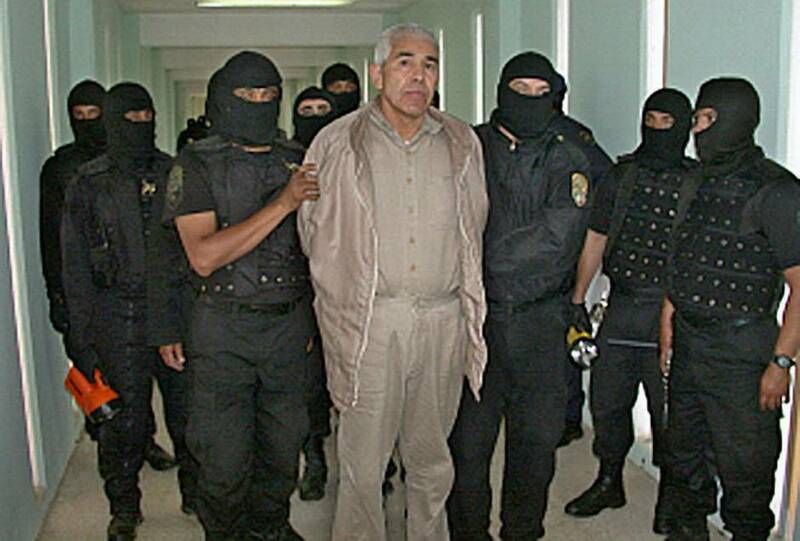 The DEA believed that Dr. Alvarez-Machain participated in the murder of Enrique Camarena by prolonging his life so that others [including members of CIA, DEA, and Mexican government] could further torture and interrogate him. On April 2, 1990 Dr. Alvarez-Machain was forcibly kidnapped from his medical office in Guadalajara, Mexico and flown by private plane to El Paso, Texas where he was arrested by drug enforcement agents. The US district court concluded that DEA agents were responsible for Dr. Alvarez-Machain’s abduction, although they were not personally involved in it. Mexico responded quickly and unequivocally. On April 18, 1990 Mexico requested an official report on the role of the United States in the abduction, and on May 16, 1990 and July 19, 1990, it sent diplomatic notes of protest from the Embassy of Mexico to the US State Department. Mexico said that it believed the abduction was ‘carried out with the knowledge of persons working for the US government, in violation of the procedure established in the extradition treaty in force between the two countries’. The July 19th note requested the provisional arrest and extradition of the law enforcement agents involved in the abduction. Mexico had already tried a number of members involved in the conspiracy that resulted in the murder of Enrique Camarena in 1984. Rafael Caro-Quintero, a co-conspirator, had already been imprisoned in Mexico on a 40 year sentence but other co-conspirators, Rene Verdugo-Urquidez and Raul Lopez-Alvarez had been prosecuted in the United States and received much harsher sentences of 240 years plus life in federal prison. The case presented fundamental questions to our court system and its relation with the Executive Branch of our government. It also raised issues of treaties and jurisdiction that is unique to narcotics trafficking cases even when they do not involve murder. Against the backdrop of the varying decisions and conflicts amongst our own judiciary is the Executive Branch’s view of abduction. Certainly, the Executive’s view changed in the 1980’s. The President and National Security Councils’ reaction to the Cartel is indicative of a nation threatened by the Cartel and feeling at war. 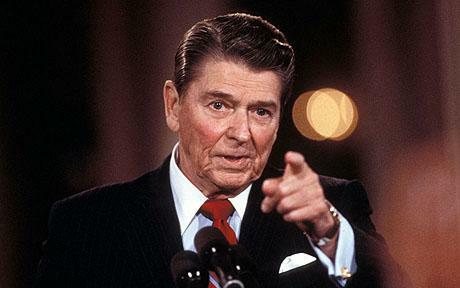 President Reagan and President Bush both consciously chose to refer to narcotics trafficking as the War on Drugs. In 1980, under President Carter, the office of legal counsel advised the administration that such seizures or abductions were contrary to international law because they compromised the territorial integrity of the other nation and were only to be undertaken with the consent of that nation. (4B OP. OFF. Legal Counsel 549, 556 (1980). In 1989 there was a dramatic shift in the Executive Branch of our government. In the hearing before the Sub-committee on Civil and Constitutional Rights of the House Committee on the Judiciary, the Assistant Attorney General William Barr, Office of Legal Counsel of the DOJ, concluded that the President did have the authority to override customary international law. This became known as The Barr Letter and reflected executive opinion. 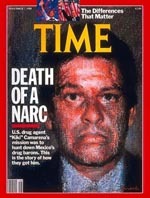 It was a dramatic shift in policy and escalation of the war on drugs, in part, a reaction to Enrique Camarena’s death. The result was the abduction of Dr. Machain by the DEA believing that their authority was properly exercised through the Executive. The United States District Court held it lacked jurisdiction to try Dr. Machain because his abduction violated the extradition treaty with Mexico. The Court of Appeals affirmed the dismissal of the indictment and repatriation of Dr. Machain, stating that the forcible abduction of a Mexico national with the authorization and participation of the United States violated the extradition treaty. The Court of Appeals said ‘although the treaty does not explicitly prohibit such abductions, the purpose of the treaty was violated by forced abduction”. It upheld the District Court’s findings….The Supreme Court in a 5-4 split decision overturned the lower court’s decision. The Supreme Court noted it had never addressed the precise issue raised in US vs. Alvarez-Machain. Our courts had dealt with abductions by private citizens without government authorization or participation and had ruled on abductions from countries without extradition treaties…these rulings were favorable, but now government sanctioned abduction was the difficult issue in a highly charged media case with public outcry for the apprehension of the murder suspects. Television and movies were made of this murder. The court agreed that Dr. Machain’s abduction was shocking and it may be in violation of general international law principles, but whether the doctor should be returned to Mexico, as a matter outside of the treaty is a matter of the Executive Branch. The Supreme Court pointedly stated the ‘advantage of the diplomatic approach to the resolution of the difficulties between two sovereign nations, as opposed to unilateral actions by the courts of one nation is obvious’. The Supreme Court had basically kept Dr. Machain and said to the President “You ordered it, now you deal with it and decide if the diplomatic difficulties with Mexico are worth this abduction”. The same decision brought a strong dissent, our Supreme Court was very divided. The dissent stated that this case raises a question of first impressions. The case is unique for several reasons. It does not involve an ordinary abduction by a private citizen or bounty hunter as in Ker vs. Illinois (119 US. 436 (1886)), not does it involve the apprehension of an American fugitive who committed a crime in one state and sought asylum in another…Rather it involves this country’s abduction of another country’s citizen; it also involves a violation of the territorial integrity of that country with which this country has signed an extradition treaty. Doctor Machain was remanded to the trial court where his case was eventually dismissed for lack of evidence. The lessons for me are numerous. Our state judges often do not recognize the rulings of another state judge and this same conflict can arise between federal judges and state courts…a judge’s power is confined by geography or jurisdiction. The [Cartel] is not! Each time the Cartel crosses a state boundary or national border it calls upon us to cooperate or we will fail in apprehending the traffickers. I believe the Cartel relies on the sovereignty we cherish as a buffer to successful prosecution. Each border represents added burdens to us and a need for increased understanding by states within a country and with other nations. 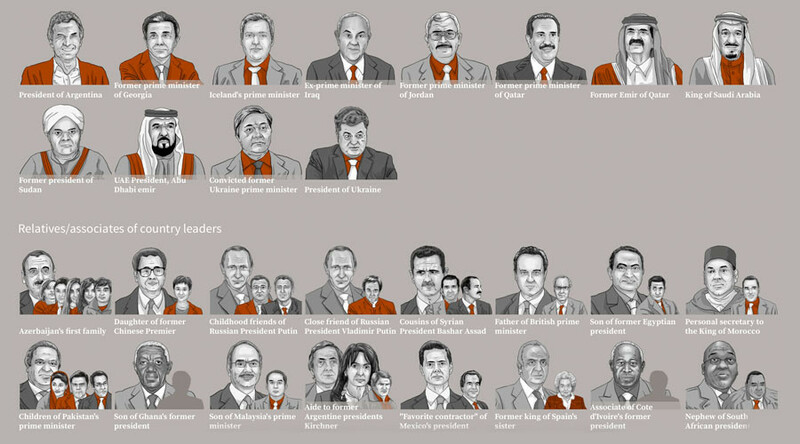 The United States has attempted many programs and policies to curtail the Cartel. The first is obviously the prosecution of narcotics transporters and sellers in our state and federal courts….the second program was legislatively enacted and is called the ‘Forfeiture Program’. The numerous laws in this area have essentially one goal: to confiscate monies and properties obtained from the capital that was acquired through narcotics sales. Until recently our focus was solely on incarcerating narcotics traffickers. Often money, real property, land, cars etc. were in other persons names, such as friends and family…in the 1980’s a policy of taking the profit away was initiated. Even here the due process rights of our Constitution apply. The person who possessed monies or property is entitled to be served with notice of the court hearing date. If the person cannot be found, publication in a newspaper of general circulation must be made to notify the party who might have claim to the property or money. The hearing usually consists of the investigating officer testifying as to how the property was confiscated. The judge is required to make findings of adequate service or attempts to serve notice of the court forfeiture proceeding on the person who had the items in possession…the judge at the hearing must find adequate probably cause that the money or property was obtained through illicit narcotics activities. These assets are then forfeited to the state or federal government depending on which agency laid claim to the asset. There have been interesting problems for the judiciary. We have seen a competition between our federal and state police agencies to lay claim to narcotics assets. The reason is that these assets are usually large sums that help support local or federal law enforcement activities. These inter-family squabbles have hurt cooperative efforts as the agencies compete for the assets. The forfeiture program has also tempted corruption in law enforcement agencies over assets, especially drug monies that can be quietly pocketed. The Zero Tolerance Policy of the United States was the outgrowth of the asset forfeiture program. Instead of rightfully targeting narcotics assets, it stated that if an individual had narcotics on their person then asset they had was to be confiscated. The glaring example of the misuse of this program was the seizure of a 60-foot yacht in Florida by the Coast Guard where a crew member was found to have just one marijuana cigarette. A third and highly controversial program is known as the ‘Reverse Sting’….it became clear in the 1980’s that the Cartel had massive amounts of money to put in foreign banks and controlled legitimate businesses. But often the Cartel was prepared to buy already transported narcotics and resell the product at an increased price. These transactions were multi-million dollar, multi-kilo transactions. The police would have undercover agents pose as dealers to sell their load to the Cartel and when the millions arrived, the arrest would have taken place. The Reverse Sting posed multiple problems for the judiciary. In Miami, Florida and Orange County, California, the police had simply gone to the evidence lockers and taken 20-100 kilos of cocaine seized from other arrests and attempted to resell these narcotics to the Cartel. Only the police were accountable to themselves and if product was lost or stolen, there was no independent scrutiny of these activities. The uncontrolled program incentivized corruption and led to a number of murders. To the judge willing to scrutinize these sales it presents a dangerous dilemma. The American public believes we are taking narcotics off the street, yet the idea of selling narcotics to the Cartel seems to go against the policy of ridding our society of drugs…the judge involved is personally subject to criticism and even removal from office if the cocaine is purchased by the Cartel and they get away before the arrest is made. The thought of judicial cooperation in removing confiscated cocaine from police storage and then losing it to the Cartel is difficult for the public to understand….the price has already been high, I have been that designated judge where one of the agents I signed ‘Reverse Stings’ for was killed in a crossfire of six Colombians who tried to rip him off for several kilos. The question for a judge is “how deeply do we want to get involved and what is the danger of losing our impartiality and fairness?”. Why is this case, United States vs. Humberto Alvarez-Machain relevant to our cause? Because it shows that by Supreme Court decision the President of the United States has the authority “to override customary international law” in regards to narcotics and the War on Drugs. So lawyer friends help us out, does this mean that President Barack Obama has the ability to override the UN Convention on Narcotics and RESCHEDULE MEDICAL MARIJUANA UNILATERALLY? In the name of defunding ISIS and the Drug Cartels can Marijuana as both hemp and sinsemilla be taken off of Schedule I and put on another schedule so it can be produced domestically to the benefit of our nation rather than our detriment? Even now the DEA, DOJ and the White House are in discussion about RESCHEDULING marijuana to a Schedule II, for medical use only to return the medical marijuana program back to whom it was designed for, the patients. But Schedule II may be too restrictive if we want to unleash the productive power of hemp and maintain the genetic diversity of sinsemilla, the government must take this into consideration before just recklessly throwing the keys at Big Pharma. Nonetheless, Enrique Camarena was killed for, doing his job, busting a CIA pot farm in Mexico ran by the Guadalajara Cartel that was being used to trade drugs for arms in a Central American war against global communism that was flooding the streets of America with foreign pot & crack cocaine, while creating a Frankenstein monster of international proportions in both Mexico, Panama and Colombia. Why was Dr. Machain abducted? DEA vendetta? Or to find out who the dirty agents and moles were? The most damning part of this case is that it shows that American Prohibition not only led to the creation of the Cartels, but it led to the ascent of the Cartels as having more money , power and resources than the US government itself. America’s soul was sold in the name of national security and all of those in power who participated are trapped in a cage of their own corruption.